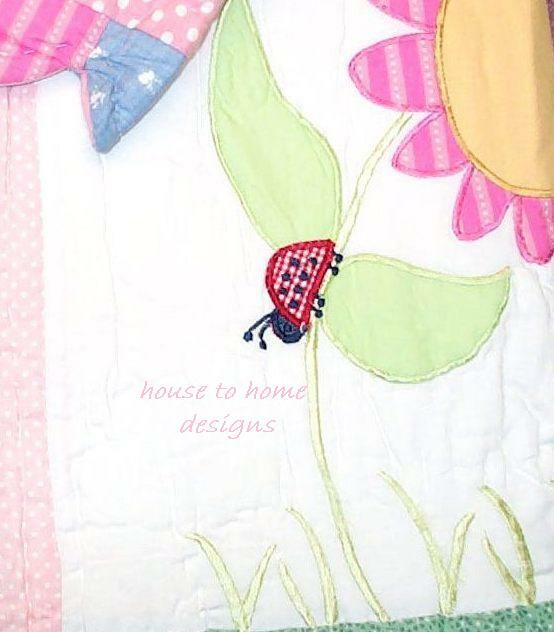 As beautiful as a spring garden, this adorable quilt and sheet set will bring a bounty of garden treasures to any girl's room. The quilt features pink, blue, sunshine yellow and purple with all the lovely touches like embroidered flowers, butterflies, and lady bugs. 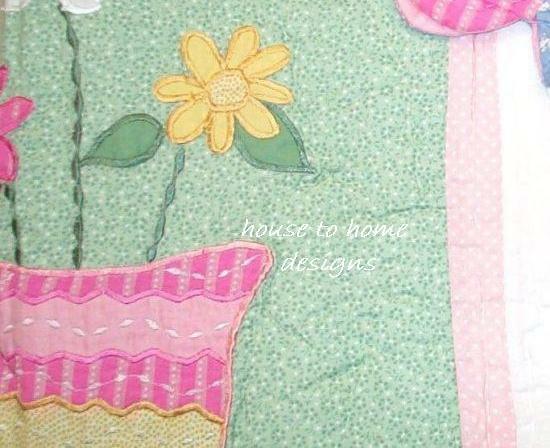 Quilt set includes quilt and two standard shams (one sham with twin quilt).